Click above to listen in your browser or download the podcast directly (MP3, 41 MB, 86 minutes). Subscribe to the show's podcast feed to get every episode automatically. 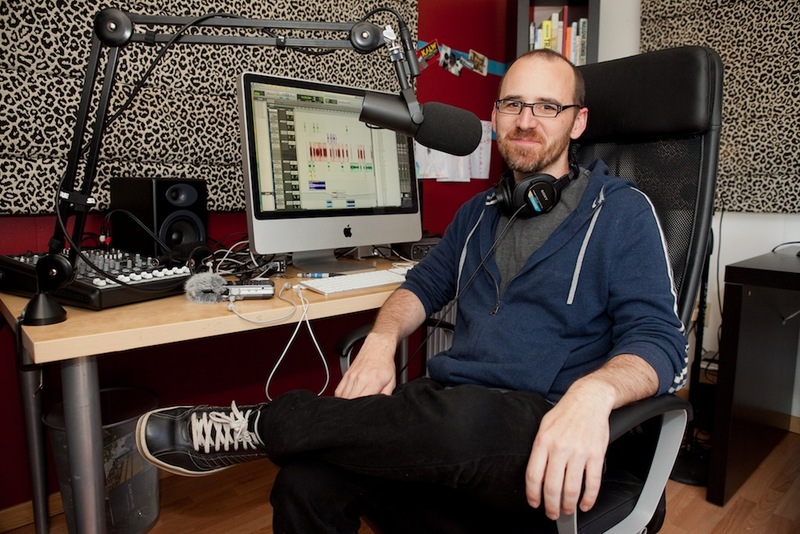 Roman Mars is a public-radio producer. But the definition of what public radio is has become malleable, especially with his show, 99% Invisible, which has enormously more listeners for its podcast version than the broadcast flavor. The show is about design and architecture, and more particularly about the inner workings of things we take for granted. Roman raised a significant sum on Kickstarter in July 2012 — $170,000 for season 3 of his show. He launched a second Kickstarter for season 4 today (October 22) to expand to weekly episodes and add staff. Support The New Disruptors directly as a patron at Patreon starting at $1 for each podcast episode, with on-air thanks, premiums, and more at higher levels of support. We do this show with your help. Sponsors also underwrite the cost of producing this program, and we love learning about our sponsors' products and services so that we can tailor an informed description for our audience. If you'd like to sponsor the podcast, contact Lex Friedman at Podlexing for details! Planet Money wanted to sell a T-shirt and use the proceeds to tell the story of how the T-shirt got made from cotton to sewing to printing to delivery; they used crowdfunding. Andrea Seabrook left NPR after years as a correspondent, the last part in the nation's capitol, to start DecodeDC, which she funded via Kickstarter, and in which she cuts to the chase about how politics really works. Around the same time Lea Thau funded season 2 of Strangers, which tells stories about "the people we meet, the people we become, and the places we go." In late 2010, Hillary Frank started "the longest shortest time" podcast; she recently raised funds for the next season. KALW fostered 99% Invisible in its early days. The 99% Invisible episode about Maurice Nobel, the background artist in Looney Tunes, Maurice Nobel, blew my head off because I had wondered for years why the details in a Yosemite Sam cartoon were so perfectly representative of Taos, New Mexico. (By the way, New Mexico's "pueblo-style" houses are a modern pastiche that incorporate native peoples and local styles into something that became a fixed idiom.) ISDN lines used to be a mainstay of remote radio recording, because they allowed for studio-quality connections. "There are very few men today who are disciplined to comprehend the totally integrating significance of the 99 percent invisible activity which is coalescing to reshape our future," said Buckminster Fuller. We mention the podcast episode about concrete-bubble houses. Roman hung out recently with Atlantic writer Alexis Madrigal, whose house is full of projectors and flexi discs. In a co-produced episode with Planet Money, the two shows explain the technically accurate ending to the movie Trading Places. Roman works for PRX producing PRX Mix. The book Moneyball explained how the Oakland A's used statistical analysis to become a team that won far beyond what its salary budget would have predicted. The book and the strategy changed baseball, but as Philip Michaels wrote in The Magazine, not everyone wants to accept that. In the 99% Invisible episode "Modern Moloch", Jesse Dukes explains how automobile interests shifted public opinion about pedestrians hit by cars from being the drivers' fault to that of the people on foot. October 23, 2013 by Glenn Fleishman.